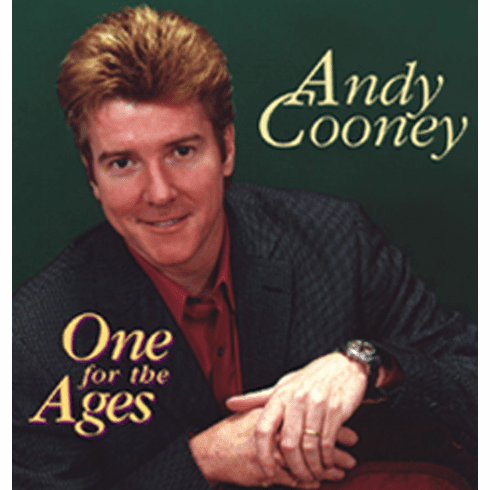 Andy Cooney "One For The Ages"
Home/Artists A thru D/Andy Cooney "One For The Ages"
Home/Andy Cooney/Andy Cooney "One For The Ages"
Andy Cooney's newest studio album for Rego Irish Records brings us a wonderful new CD called "One For The Ages". There is something for everyone, it's "trad", it's contemporary, it's folk, it's classic, IT'S ANDY! Joining Andy in the studio are some of Irish Music's most respected musicians. The long time musical friendship and collaboration between Andy and Cherish the Ladies star Joannie Madden not only continues but flourishes on "One For The Ages". Madden brings her talents as a player and an arranger to the project along with Buddie Connolly, Tony Steele, Des Moore, Noel Healy and a host of other Irish music elites. From absolutely splendid renditions of classic songs like My Kathleen (the #1 song on Irish radio shows) to the brand new self penned ?Where I Belong? this CD is certainly " One for the Ages". It's a must for Andy fans and a great introduction for those who have never experienced the joy an Andy Cooney CD can bring.